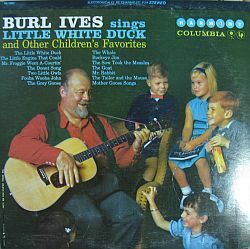 Early in “Fantastic Mr. Fox,” I recognized some music that I hear often these days: Burl Ives singing “Fooba Wooba John.” What a funny treat! As usual, Wes Anderson chose perfect music for his latest movie. There’s an earnest, post-cynical lens in that I love. I see it in the Zissou saga, as I did in “Fantastic Mr. Fox” and so now I find myself tapping a foot, humming “Buckeye Jim” around the house, and now, in addition to the warmth of Burl Ives’ voice, that tune delivers me Anderson’s glorious sunset orange hues, and lovable, heroic foxes. And I smile a silly, true smile. This entry was posted in Uncategorized and tagged Burl Ives, Interdisciplinary Aesthetics, movies, music, post-cynicism, Wes Anderson. Bookmark the permalink.